Taoism is the very foundation of Traditional Chinese Medicine. The above quote from Lao Zi, illustrates the essence of Taoism. The Tao – literally The Way – focuses on the natural free flow of Qi, the balance of Yin and Yang and Man’s harmony with Heaven and Earth. Living according to the Tao is to be in harmony with what life offers you. Confucianism emphasizes proper behavior to be able to live a harmonious life. Each person has his or her own qualities to contribute to society. In TCM, this is translated in precise herbal formulas, where the individual herbs complement, strengthen and are in harmony with each other. Buddhism is based on the unity of body and mind. Meditation leads to inner peace, to the development of insight and compassion, as well as to improved health. 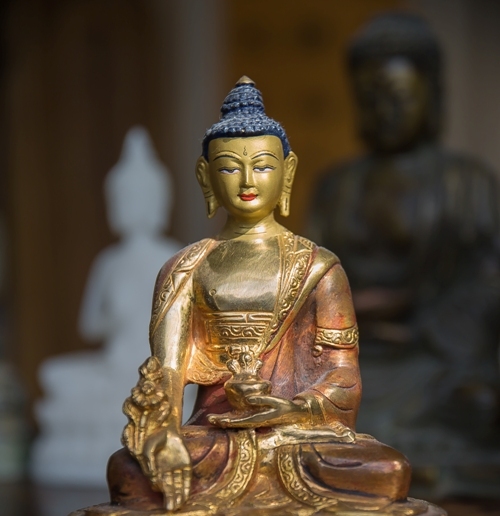 Calming the Mind is the most important Buddhist influence on TCM.